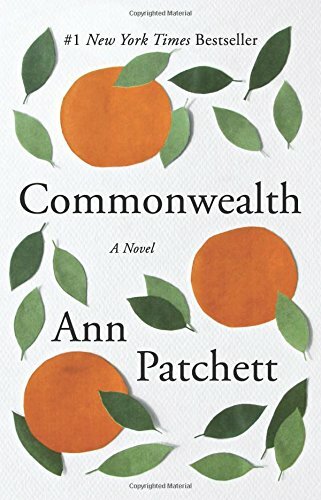 My first Ann Patchett book was a collection of essays she wrote for various magazines, This is a Story of a Happy Marriage, but a friend recommended I read her fiction. I have to say the fiction is much better. I really enjoyed this book. The story follows two families, the Cousins and the Keatings, and how their lives intertwine. The chapters are not in chronological order, which can be a little disconcerting at the beginning, but they flow really nicely. The overall story is really beautiful. There is a lot of character transformation. We see the kids from each family grow up. Something tragic happens when they are young, and it affects both families a lot. And each kid handles it differently. In fact, towards the end, one of the main characters, Franny, thinks about all of the events in their lives and how it would have been different. You know, like if this didn’t happen, then I wouldn’t have gone here and met this person and gotten married kind of thing. But it was kind of an “everything happens the way it’s supposed to” inner monologue. The plot is a bit twisty. Some of the things that happen in the end I didn’t expect. And the main tragic event’s details are slowly revealed through the stories of the characters and how they deal with it. I thought it was going one way, but it went a different way entirely. There is some profanity in the book. The “F” word is used but not overly so. The sexual content isn’t explicit, but kissing and infidelity are in the stories. There are some violent aspects to the book. One of the husbands is a cop and early on, he talks about his partner dying by getting shot. There are guns mentioned throughout the book and there are a few deaths, but nothing really detailed. This book is really relatable. The people in this book are very realistic, flawed, and beautiful. It’s easy to have favorites in one story and then completely change your mind in the next chapter. But overall, you want good things for these people. And it’s just simply beautiful.